Nutritional support for wound healing can greatly affect the three stages of the process: the inflammatory, proliferative, and remodeling phases. Poor nutrition can prolong every stage of the wound healing process and cause the development of non-healing wounds. Significant wounds can increase the nutritional demands of the body, which means that a patient will need more nutrients than usual to allow for optimum wound healing. Protein energy malnutrition (PEM) is one factor that can cause a delay in wound healing. PEM complicates wound healing by increasing the catabolic state (breakdown of tissues) and decreasing the anabolic state (buildup of tissues). 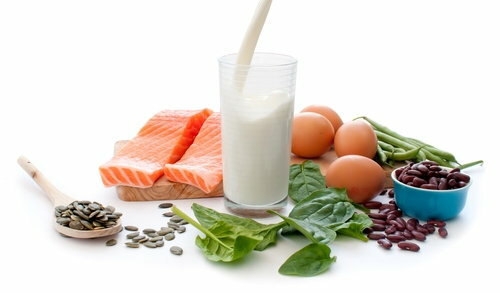 Therefore, the right nutrition can provide necessary macronutrients, such as carbohydrates and proteins. It can also decrease the catabolic state by increasing the body's energy stores and tissue buildup, thereby producing new proteins. To heal a wound, the body needs to produce new proteins from amino acids. When nutrition is inadequate, the body tries to get these amino acids from the lean body mass (LBM), which is the sum of the body's protein and water content. Approximately 50 to 60 percent of the LBM is composed of the skeletal muscles. In the presence of significant wounds, such as non-healing wounds, this response can lead to severe muscle wasting. When the loss from the LBM reaches 20 percent, the body will try to conserve the LBM by limiting the amino acids used for wound healing. At this stage, the process of wound healing slows. Further loss of proteins can also cause the development of new wounds due to skin thinning brought about by the loss of collagen proteins. Carbohydrates should supply 55 to 60 percent of the total caloric intake to ensure adequate energy stores. Carbohydrates are also important components of glycoproteins, which play roles in the wound healing process. Cell migration and proliferation are processes mediated by cell surface molecules composed of carbohydrates. Fats comprise 20 to 25 percent of the total dietary requirement. They also provide additional energy during wound healing and are the raw materials used for the production of new cell membranes.